What can be more painful than going through a loss from a death of loved one or from relationship? I am not an expert in psychology or counseling; In fact, I don't have any academic background to support my claim here except for the fact that life experiences can be a tough mentor to begin with. I had terrible childhood experience followed by marital breakup from infidelity years ago and is going through the same feat again. This quite puts a toll on me, questioning even more how I failed and blamed myself for the troubles. Days are dragging, work seems impossible, appetite is lost. Basically, I lost hope. But, when one realizes that there shall be a silver lining behind dark clouds, one can go through emotional pains and survive otherwise one can only wait for his / her mental or physical state to degrade fully. 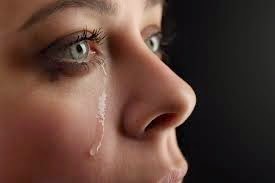 I am still hurting now from my marital problems but I wish to encourage other women or men who are hurting too that any grieving state we are now will soon pass. So, how do I go through each day? Go back to old routines. While things would be quite different, I have to make sure that I can still go back to my old self and eventually be happier. Since, I love running and multi - sports, I started to train again for marathons and triathlons. Rely on your support system. It is painful to be abandoned but more painful if you are miserable alone. So, welcome any support from family and friends. Appreciate their efforts to help you with their wisdom or otherwise. Your load can just be quite lighter. Have a self - examination. Failed relationships are doings of two consensual adults, and since we are not perfect individuals, lapses are bound to happen. You may want to start a new life again without the person or simply start all over again in spite of the pain but the thing is, you have to better yourself from your old ways to make new or old relationships work. Love yourself. We have all our lapses but when we realize that we deserve more, we change our perspective. When you are constantly in pain, it is high time to re - evaluate why you still in a relationship. Relationship is supposed to nurture individuals, but if this ain't the case, I guess it is time to let go. Start a new hobby or take a break. Healing is important and while there are times I feel lonely, I have to believe that what I am going through is normal. So, it would help a lot if you take your minds off negative emotions and thoughts and just fill your time with good moments. So, do what you think is best to help you heal and in time, pain will be lighter. I wish that you eventually heal and find peace as I am hoping for myself now. Just go easy and soon things will be ok.